Morning people, You’re reading a blog post by a proud winner of $100,000. How do you feel? I’m sure you’re feeling really honored, aren’t you? I should be hyperventilating shey? lol. I woke up this morning to find the good news in my mail. Apparently, all I needed to win was just my email address. 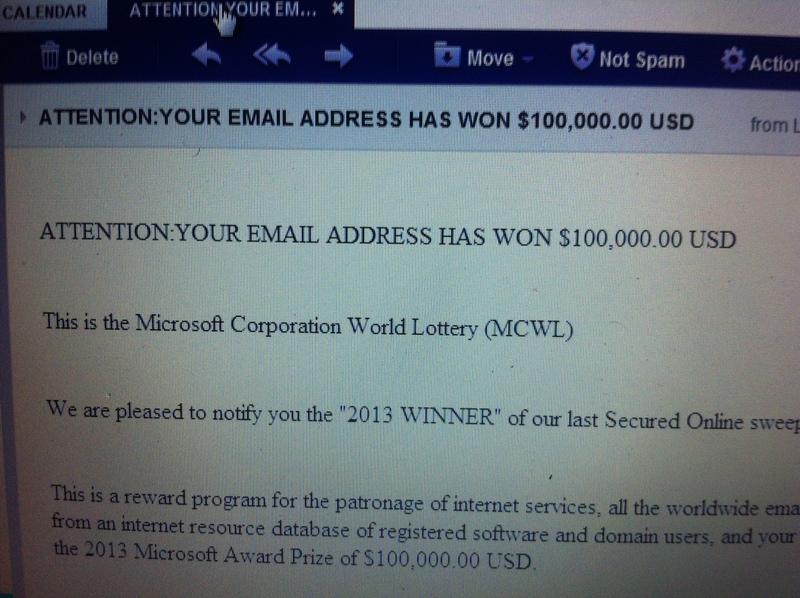 My email address won me approximately 165 million, talk about a dope email address. Microsoft Corporation World Lottery? Okay. Folks will just sit down in front of their laptop and decide to make their fellow human sad ehn. why? early in the morning? why? who did i offend? *sigh. I know its September and boys are looking for who to scam so they can travel to the village at the end of the year and oppress everyone, but hey, who falls for this sh*t anymore? You have to be creative now. if you really want to scam, get employed by MTN. I sincerely don’t understand what happens to all the airtime on my phone, and GLO too. Unless you can convince me that paying N3000 for 1gb is not a scam. 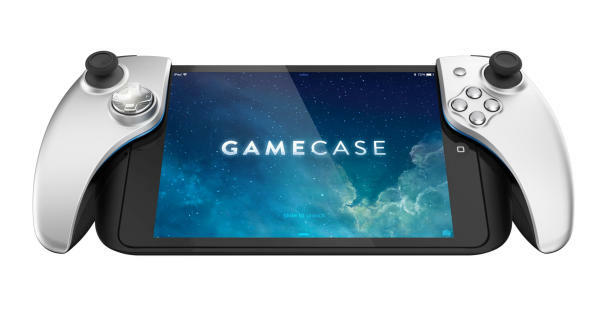 Also, I just stumbled on Gamecase, a game controller for iOS7. According to Cnet, The Bluetooth device, which will allegedly have its own battery supply, has dual analog stick support, a directional pad, and four buttons situated below what looks like an on/off switch. On the back, the controller sports an impressive set of dual bumpers and triggers above rubberized grips for a controller layout that seems surprisingly capable when compared with the home console offerings of Microsoft and Sony. Dope yh? I haven’t even downloaded iOS 7. However, it seems the new trend is to post pictures of the new iOS on Instagram and Twitter . I’m not sure I understand the logic behind that. A post was supposed to go up on Monday but a brother hasn’t been in the right state of mind. It took quite a struggle to write this tbh. Have a good day. Stay scheming. This entry was posted in Editor's Corner, News/Events, Technology and tagged #technology #apple #iphone #iphone5s, android, battery supply, BBM, bluetooth device, directional pad, game controller, ios, iPhone5c, MCWL, Microsoft, proud winner, world lottery. Bookmark the permalink.